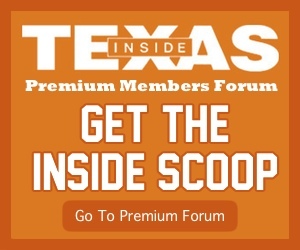 RICHMOND, TX — Texas made the defensive line a priority in this cycle. After offering Peter Mpagi on Thursday, the George Ranch defensive end wasted little time in verbally committing to the Longhorns. Mpagi, at 6-foot-4, 225-pound weakside end chose UT over Washington, Cal-Berkeley, Nebraska, Arizona State, and Northwestern among his 20+ offers. Mpagi was always fond of the Longhorns, telling IT that a Texas offer was the one he wanted during one of his many unofficial visits this spring, including Junior Day Weekend and an impressive showing at the UT’s summer mini-camp in early June. Mpagi has a great tool kit for the Texas defense. At 6-foot-4, 224, and he’s got a lot of growth potential but in the meantime he’s very bouncy and sudden. He has a particular knack for stepping inside to spill plays and working inside of blocks, which is useful for a guy that projects as a 4i-technique down the road. He’s more of a pure strongside DE prospect but he should be able to grow into a guy that can play the edge traditionally or inside the B-gaps as a 4i. 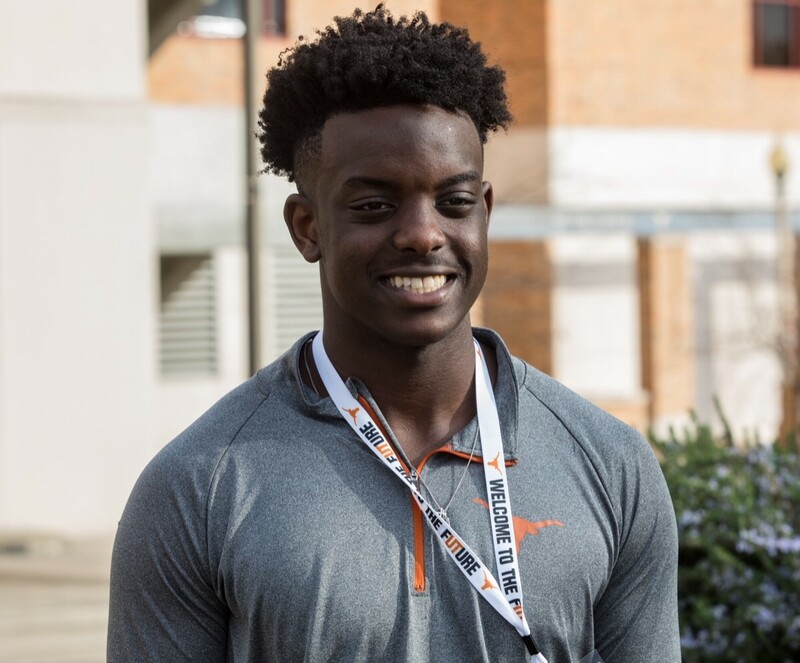 Mpagi is the 10th member of Texas 2019 class joining Jake Smith (Scottsdale, AZ), Jared Wiley (Temple), Tyler Johnson (Conroe Oak Ridge), Brayden Liebrock (Chandler – AZ), Kenyatta Watson II (Grayson – GA), De’Gabriel Floyd (Westlake – CA), Jordan Whittington (Cuero), T’Vondre Sweat (Huntsville), and Roschon Johnson (Port Neches-Groves).